The following blog is the first in a series of eight examining Current Trends in the Opto-micro-electronic and RF Packaging Eco-systems authored by Dr. Anthony O’Sullivan of Palomar Technologies. 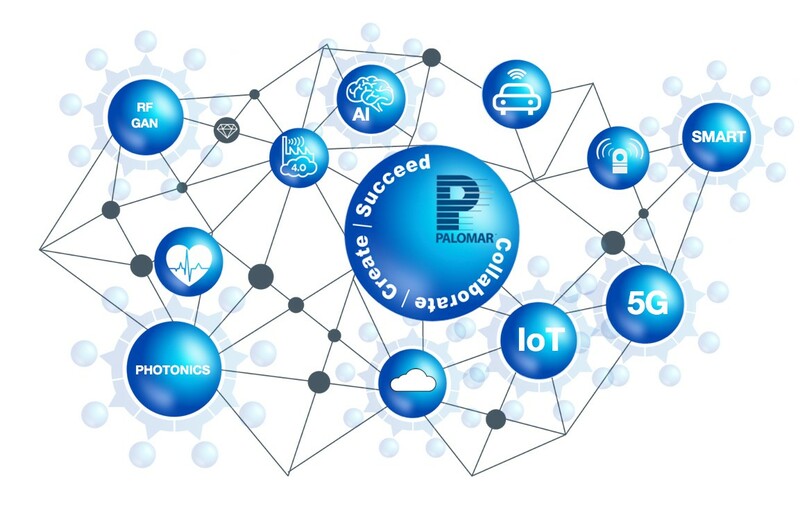 This series is designed to give readers a glimpse of our shared technological future, as well as direction regarding Palomar’s product development roadmap. Dr. O’Sullivan is Palomar’s Strategic Market Research specialist. He focuses on identifying evolving technologies that challenge Palomar’s customers and the solutions we can create together. The views represented are entirely those of Dr. O’Sullivan. Dr O’Sullivan will gladly field questions and comments. The story of “The boy who cried Wolf” tells of a child who lied about the wolf coming, and did so, so many times that when the threat was truly imminent, few people believed him. It can be rather like that with technology. Most especially in two key areas which Palomar serves, opto-micro-electronic packaging and RF GaN power devices. Big changes having been on the horizon for years; now some of the biggest are no longer off in the distance, but very close indeed. For example, with the successful conclusion of a key international agreement on standards in December 2017, a number of newspapers carried the headline “Sooner Than We Expected”, referring to the roll-out of 5G technologies. Thus, by the end of 2018, 5G will have a presence in a number of major cities across the globe, including around a dozen in the US. Australia’s two biggest network providers will roll out 5G across the entire country in 2019. 5G is far more than about mobile phone communications, however, but will give rise to a literally incalculable number of SMART devices as well as an equally vast number of what is termed, the Internet of Things (IoT). By 2030 another technological shift will break; the world’s best known automobile producers will only produce hybrid vehicles, some exclusively electric. As of mid-century, the internal combustion engine will be viewed as a quaint hangover from the past, rather like the steam locomotive. These are not the only technologies that are advancing. Among other things, SMART pavements will have “WiTricity” built in. You park your car in the street and it will recharge by the time you get back. SMART devices also mean the end of self-drive, probably even the use of the word “car”, with “pod” taking its place. People think of convenience, governments think of the hundreds of thousands of lives saved each year from road deaths, and the literally millions of accidents avoided. On account of these and other factors, the benefits to the global economy will run into trillions of dollars. Such bottom line figures explain today’s intense fervor to invest at both a public (government) and a private level. In terms of autonomous drive vehicles (and remember, this includes trucks, trains and drones) this translates into extensive pilot trials of autonomous vehicles in 53 global cities, with London and San Francisco being among the most extensive. Beijing and Singapore will offer the world’s first taxi services using autonomous vehicles, and Tokyo, aims to have autonomous vehicles on the roads in time for the Summer Olympics of 2020. That having been said, the USA gets pride of place—or rather the city of Phoenix—for testing the world’s first fully autonomous vehicle (“level 4”) in November 2017. Ultimately, all SMART, IoT products—including autonomous vehicles—will be supported, heavily guided, or totally controlled by Artificial Intelligence (either directly or through the surrounding infrastructure). The wider reach of these technologies will range from the semi-miraculous life-saving, or life-changing, to the merely convenient; medicine will be revolutionized (with deaf people hearing and blind people seeing) but so too will shopping. The days of the lengthy grocery store check-out will be gone forever. The consumer will simply walk out with his goods. SMART tagging will take care of the billing. Already robots are used to pack groceries ordered online. The same company is currently trialing autonomous delivery vehicles. One Chinese city converted its streets to “IoT lighting solutions” and cut its power bill by 80 per cent. SMART, IoT and other technologies will also lead to a revolution in manufacturing. Want to build a die-bonder? Put on your VR glasses and AI will show you how. Well, not quite! The reader will understand that there is a great deal more to be said in each case, and thus further aspects of the technologies—and not least their interdependence—will explored in future blogs. For now though, one vital point must be made: all these innovations narrow sharply down to one very intense focus point: the truly vast and exponentially increasing impact they will have in the demand for data transmission, storage and analysis. The lifespan and evolution of the optical transceiver (many built with Palomar machines) has only just begun!